The Torrid is built to last, made with a strong hi-tensile steel frame. Get the cool BMX style with the Torrid, including big BMX handlebars. Greater strength through the stem with the classic BMX front load stem. 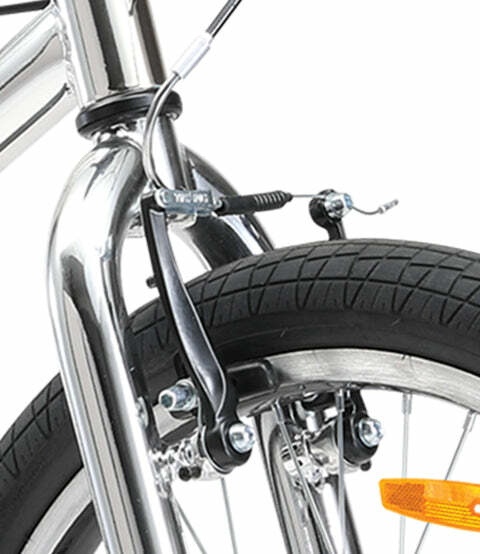 Stop on a dime with reliable front and rear V brakes and machined wall rims.